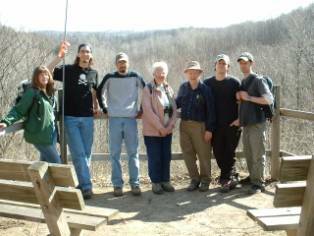 Ecotourism and Nature Tourism (FOR 476/676) is a service learning class offered every fall at ESF. Service learning courses engage students in providing real-life community services. 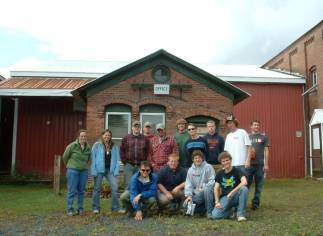 During the fall 2014 semester, we will be working on a recreation plan for a property in the Adirondacks owned by SUNY ESF. Recreation Behavior and Management (FOR 475) is an undergraduate level, 3-credit course that focuses on human behavior in natural environments. Environmental Career Strategies for Women (FOR 496-10 and 797-02) is a graduate/undergraduate, 1-credit seminar that provides a forum for male and female students to interact and discuss gender issues pertaining to academia and other professional areas. Fundamentals of Outdoor Recreation (FOR 372) is an undergraduate level, 3-credit course that focuses on the basic history and concepts related to outdoor recreation. Lombardi, T. (2018). Distribution, Characteristics and Management of Tamarisk at Pomac Forest Historic Sanctuary, Peru. MPS Capstone Report: SUNY ESF. Pelosi, C. (2013). An Evaluation of Incorporating Recreation Opportunities in Industrial Environmental Remediation Projects. MPS Capstone Report: SUNY ESF.